Patsy Holmes96 Years of age. 4th Cork Brigade. IRA 1918-1923An explosives expert, courier and intelligence officer, his groundwork and planning sealed the fate of many RIC garrisons. Captured by the Black and Tans in 1920 he was interned along with many other republicans who went on to become famed in the struggle for independence. 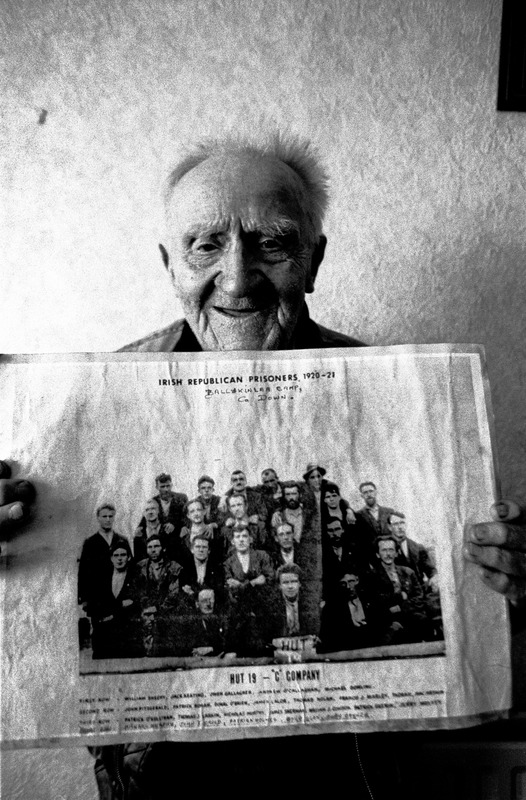 Here holding a unique photo of himself and fellow prisoners at Ballykinlar Camp, County Down. He is the one in the picture holding the sign "Hut 19".